Who would get surprised if one day a guy comes out and tells us that he was or he is Noynoy’s lover? Or a katorse (14-year-old) cries in front of national television telling all of us that she was raped by Nonoy some days ago? Just to spice up stories, let’s all get surprised. But in Philippine politics, stories are fabricated; false witness are born. So will Filipinos get surprised when all of those unlikely breaking news come out? 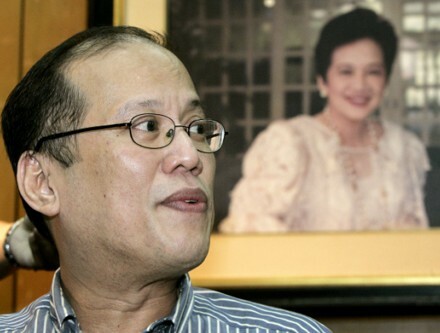 Sen. Nonoy Aquino is consistently dominating on surveys despite of issues thrown to him, not-as-brainy as others out there; nothing but just a son of late senator and president; Hacienda Luisita, Kamag-anak, Inc., not capable to hold the office of the President and so on and so forth. Being the consistent survey frontrunner, all other presidential bets have a common agenda of bringing down the popularity of Sen. Noynoy Aquino, Sun Star Cebu columnist Anol Mongaya wrote. In a Special December 2009 Social Weather Stations (SWS) survey, Sen. Manny Villar’s ratings increased by six points which narrowed the lead of Sen. Noynoy Aquino from 19 to only 11 percentage points in a span of three weeks, PhilStar.com reports. This excites Manny’s followers. A little success as they see it! The six points success of Villar can be attributed to his massive ads. Even children sing his ad jingles. Gilbert Remulla believes Villar will be able to lead in the surveys in the coming months says the same PhilStar.com report. When Noynoy was asked his reactions, he told as quoted by Inquirer.net report, there are credible surveys and there are surveys that can be bought in Quiapo. The SWS survey was reportedly commissioned by Sen. Manny Villar. Both Noynoy and Manny pull down each others’ position on ratings. We have witnessed this on a recent presidential forum. 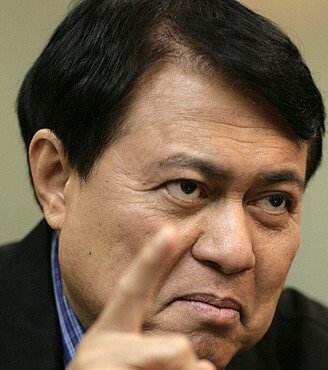 Villar hits Noynoy and the latter talk back. This highlights the very nature of political campaign – exchanges of juicy and cheesy words. I won’t be surprised later if someone suddenly appears swearing that Villar’s billions was not the fruit of his sipag at tiyaga but come from a golden buddha Villar himself have discovered on his construction site. Juicy eh? More than the cheesy and juicy stories, let us all decide on May 2010. 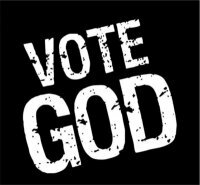 Every vote counts! In Maguindanao massacre, the warlords are still alive! Maguindanao warlords are drinking, feasting, and merrymaking because they have killed and immediately buried more than fifty people in just one morning. As of today, according to Inquirer report, the death toll reach to 57. This worst election-related killing saddened President Gloria Arroyo that she declared November 25 as the national day of mourning. “This is a supreme act of inhumanity that is a blight on our nation.” President Arroyo said in a statement quoted by the same Inquirer report. Maguindanao massacre shocked the Filipino nation. The whole world is equally shocked because aside from women, 12 journalists were also killed. “Never in the history of journalism have the news media suffered such a heavy loss of life in one day”, Reporters Without Borders noted. I wish to add my voice to loud voice condemning the Maguindanao massacre and calling for swift justice. But three days after the killings, no one was questioned. No one was arrested. Who wants to arrest the untouchables anyway. There are no untouchables, Malacanang told reporters. It seems physical and circumstantial evidences are not yet enough. The President herself vowed to give justice to the victims. I hope she will. I won’t label Maguindanao as killing field. Not yet this time. But sooner or later, that part in Mindanao becomes the killing field of warlords in the new century! Unless the President Arroyo mobilizes all her power to destroy the armed groups controlled by few families. We lost 57 lives (and still counting) in Maguindanao massacre and we meet the warlords who still wield power. By the way, who are the warlords? I think Commission on Human Rights chairwoman, Leila De Lima, can point them. I feel President Gloria Arroyo knows them.